Melt your stress away with in-home massage done right in San Carlos. No need to travel -- book the best massage in San Carlos, CA right to your door with Zeel Massage On Demand. Top massage therapists available for last minute appointments via the Zeel Massage app or website. A massage therapist will come to your San Carlos home, hotel, or office in as little as an hour, or schedule in advance. Relax and recuperate with a spa-quality massage in the comfort of your San Carlos home. There are over 9,000 massage therapists in the Zeel network nationwide. Here are a few that are available for in-home massages in San Carlos. 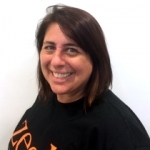 Michelle is a certified massage therapist offering custom, client-centered bodywork in the South Bay. Trained at the National Holistic Institute, where she studied effective massage modalities and techniques along with the physiology of the human body, Michelle has experience in boutique day spas as well as more clinical health centers. Committed to delivering the highest quality massage, Michelle tailors each session to the unique needs and preferences of each client, from focusing on specific issues to full-body relaxation and overall wellness. 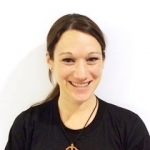 Jennifer has been a practicing massage therapist for more than 7 years. She is both state certified in California as well as nationally certified by the National Certification Board for Therapeutic Massage & Bodywork (NCTMB). Jennifer studied at the Soma Institute, National School of Clinical Massage Therapy in Chicago, which prepared her for a clinical setting. Jennifer worked with chiropractors and physical therapists in the Chicago for about 4 years before moving to the Bay Area. Depending on the client and the goal of the session she applies the most effective techniques she knows. She feels most confident doing a combination of deep tissue, trigger point therapy, and Swedish, with a hint of Thai massage and shiatsu as well. SInce moving to the Bay Area, she have worked with Google, several salons and day spas on the peninsula, and the Sports Medicine Institute in Palo Alto. Jennifer tries to be unique by using a technique or style of massage on clients that they may have not received before. More importantly, she tries to educate clients with advice of a certain stretch or self care that they may benefit from. 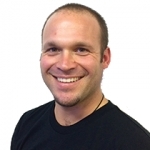 Certified massage therapist Matthew has been practicing since 2004. Specializing in therapeutic massage, he is skilled in several advanced massage modalities, including trigger point therapy, acupressure, and prenatal massage. Matthew has also completed his Menpa (doctorate) in Tibetan Wellness at the prestigious Shang Sung institute. He customizes each session according to his client's specific needs and health goals drawing from his diverse expertise. Book a Zeel Massage in San Carlos, CA for simple relaxation and relief. No need to travel beyond the San Francisco Peninsula for high-quality massage. With just a few taps on your smartphone, an expert Zeel Massage Therapist in San Carlos delivers in-home, at work, and in-hotel massage in as little as an hour. Zeel clients enjoying this small-town-feel “City of Good Living”—whether resident or visitor flying in from nearby San Carlos Airport—can experience the perfect blend of luxury, convenience, and simple ease that Zeel provides, when and where they need it most. Whether you prefer Swedish massage, deep tissue massage, sports massage, couples massage, or prenatal massage, Zeel Massage Therapists in San Carlos, CA are here to provide relief to your sore muscles. We are always on call in San Mateo County, and we are here to make your life easy. You can even schedule up to 30 days in advance. Zeel’s San Carlos massage therapists come to you, delivering comfort and quality when you need it most. Look no further for the “best massage San Carlos”—we have you covered. Plus, it’s simple. Book with Zeel in San Carlos, CA today. Zeel provides Swedish massage, deep tissue massage, prenatal massage, sports massage, couples massage, and chair massage in San Carlos.